It’s a lazy afternoon here – the rains have stopped (for now); it’s hot, but not too hot, a fluffy cloud kind of day to not do very much. 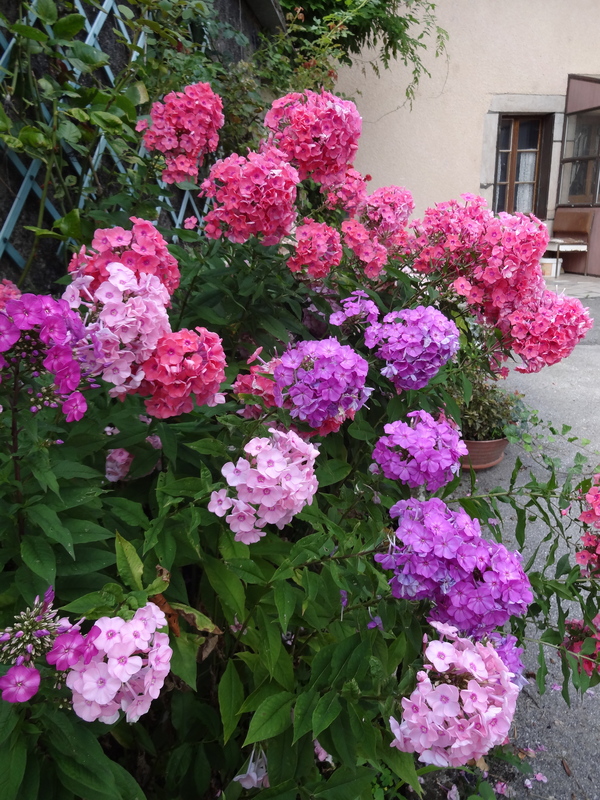 Here are a few shots from the farm right next door on a lazy August afternoon. 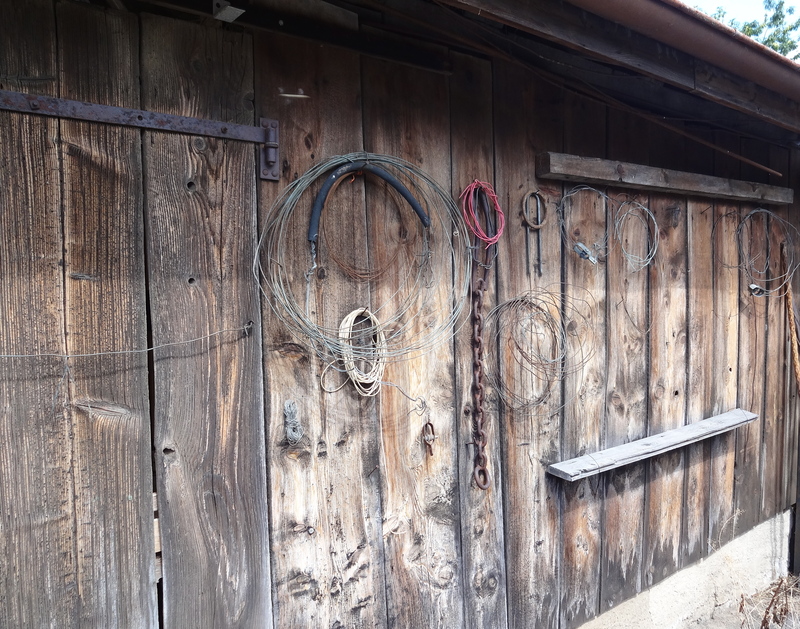 This wall, the outer wall of a woodshed, is in a dormant state right now and looks like it’s just a place to hang wire – but during the harvest season, it is filled with shelves of squash, pumpkins, piles of string for binding together various vines. 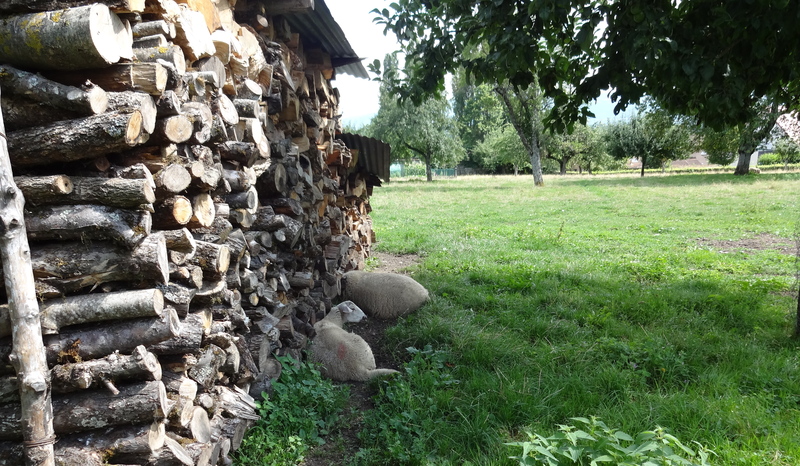 Out in the orchard, sheep were dozing against one of the woodpiles. 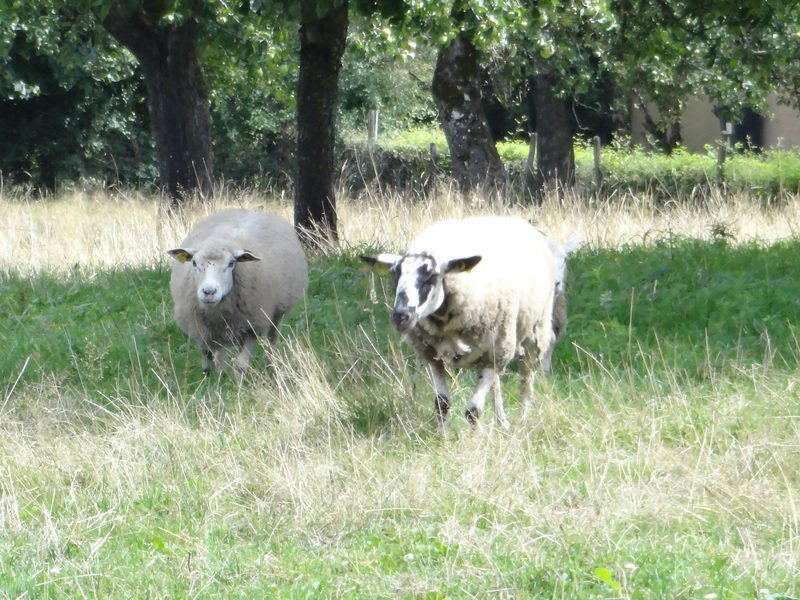 Other sheep from the flock saw me from across the orchard and came running, hoping for a few chunks of old bread. I obliged. 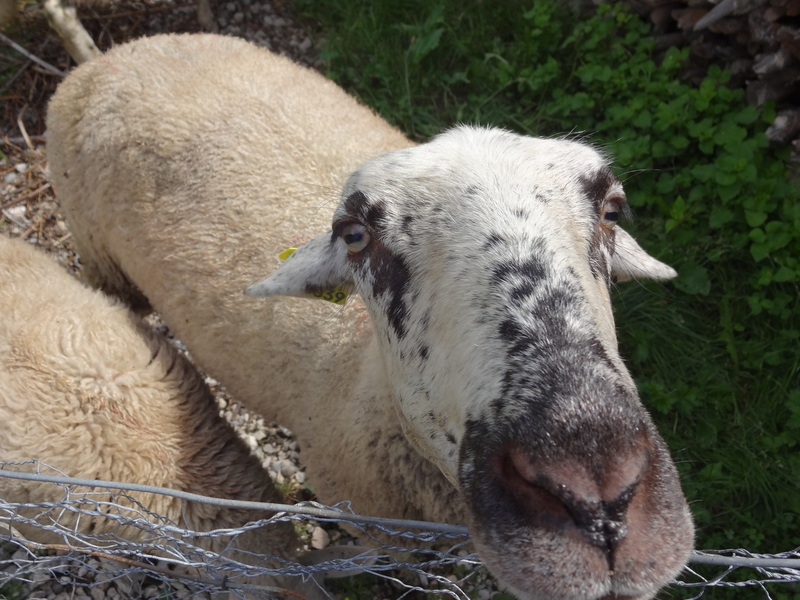 Who could say ‘no’ to those sheep eyes?